Looking for fun, book-themed products for the readers you know? 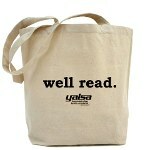 Then check out YALSA’s store at CafePress.com! Visit www.cafepress.com/yalsa and check out our t-shirts (with a variety of slogans and in a variety of styles), baby products, coffee mugs and other housewares, bumper stickers, ornaments, tote bags and much more. Pick up a t-shirt that says “YALSA: Telling You What to Put on Your Bookshelf Since 1957” for your favorite co-worker or a tote bag that says “Well Read” for the bookworm in your family. You’ll find many other slogans and designs at the CafePress site. Your purchases support the Friends of YALSA. Price range: $3.49 to $41.39. 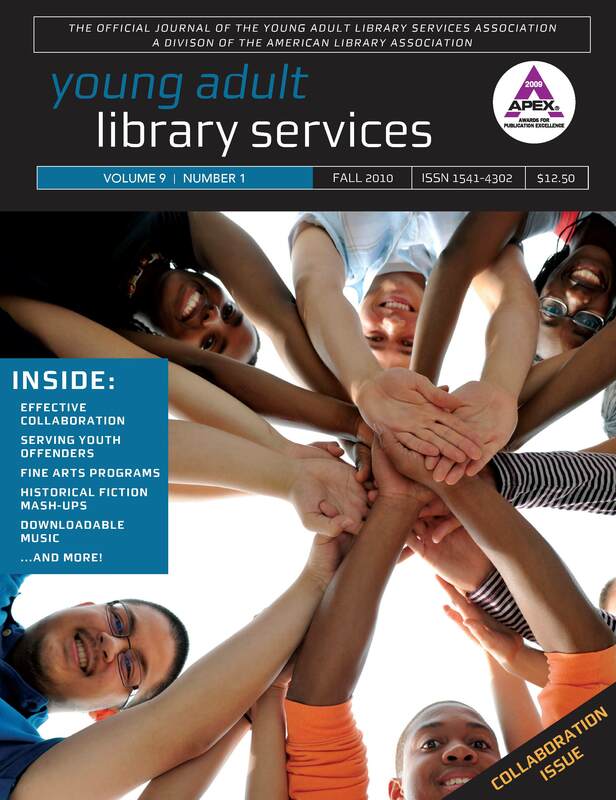 In the past few years, YALSA’s catalog of professional materials has grown, with ten titles published since 2007! YALSA offers professional books on reading and booklists for teens (Best Books for Young Adults, 3rd Edition; The Official YALSA Awards Guidebook; Quick and Popular Reads for Teens; and Annotated Booklists for Every Teen Reader: The Best from the Experts at YALSA-BK), teen programming (Get Connected: Tech Programs for Teens; Excellence in Library Services to Young Adults, 5th Edition; Cool Teen Programs for under $100; and Multicultural Programs for Tweens and Teens); and teen service delivery (Risky Business: Taking and Managing Risks in Library Services for Teens and Young Adults Deserve the Best: YALSA’s Competencies in Action). Help the teen or school librarian on your list grow professionally with any of these ten high-quality professional titles. YALSA members enjoy a 10% discount on all YALSA books. 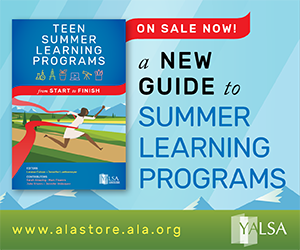 To learn more about each title and see ordering information, visit YALSA’s Books page. Price range (with 10% discount): $27 to $58.50. Looking for a gift for a LIS grad student you know or perhaps a new colleague? Give the gift of innovation and inspiration â€“ give YALSA membership! 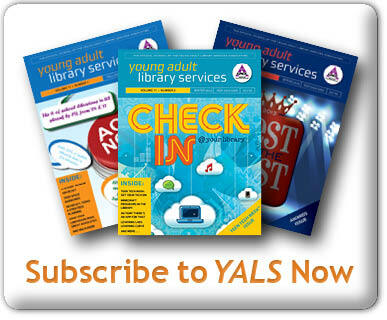 You can buy a gift membership for a new member or offer a renewal for those who are already YALSA members. YALSA will notify your recipient, letting them know you sent a gift membership, with information on how to maximize your generous gift. 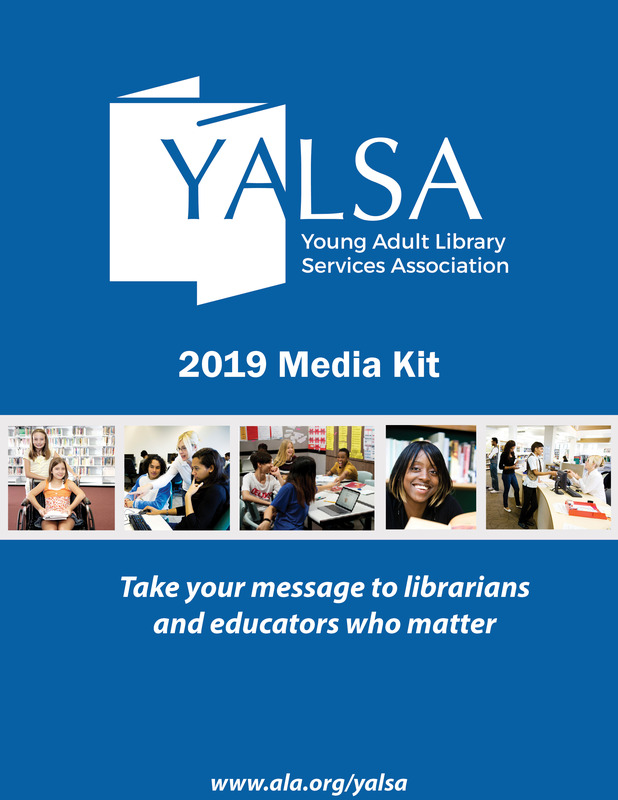 For more information about gift memberships or to purchase one, please contact Letitia Smith, YALSA Membership Coordinator, at lsmith@ala.org or 1.800.545.2433 x4390. This offer is not available online. Price range: Depends on member type and whether your giftee is already a member of ALA; see YALSA’s Join Us page for a range of membership categories and pricing. 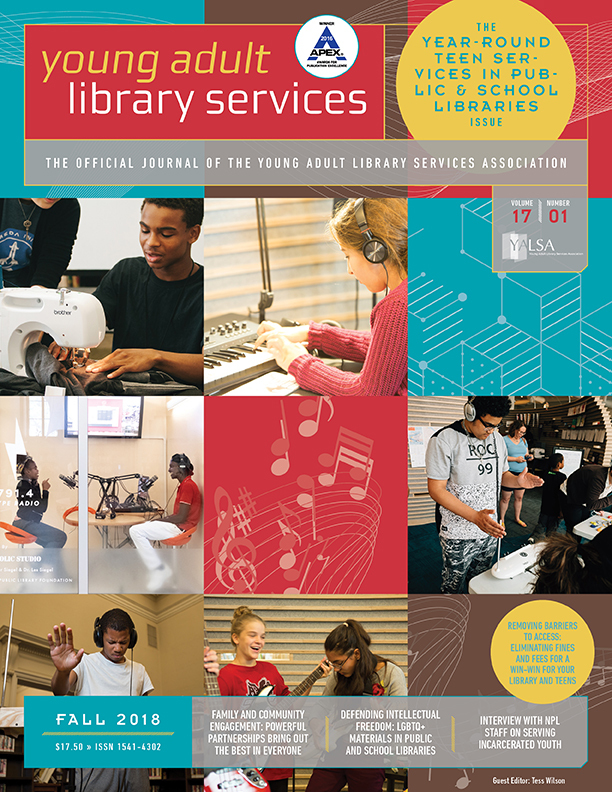 YALSA’s award-winning quarterly journal, Young Adult Library Services, is available for subscription â€” the perfect gift for student interested in teen services or a YA or school librarian on your list. 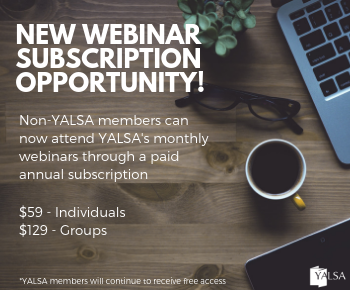 A YALS subscription costs $50 a year in the U.S. and $60 a year in Canada, Mexico, or other countries. Subscribers will find guidance on best practices, articles on new trends, including technology and teen services, tips for collaboration and budgeting, reviews of professional materials, and more. Send a gift subscription today! Price range: $50-$60, depending on location. Many people choose to make a tax-deductible gift in honor of a family’ member, friend, or colleague this time of year. If you would like to do so, consider supporting the Friends of YALSA, the YALSA Leadership Endowment or YALSA’s Morris Endowment. Just mention who your donation is in honor when you make it. Funds donated to the Friends of YALSA in 2010 support YALSA advocacy efforts. Donations to the Leadership Endowment supports the development of future leaders in YALSA and the profession. Donations to the Morris Endowment supports reading initiatives at YALSA. Learn more about donor benefits and what each fund supports at www.ala.org/givetoyalsa. Price range: Any amount. Tagged books, cafepress, Friends of YALSA, gifts, YALS. Just wanted to add that the Financial Advancement Committee ordered some items from CafePress for part of their Conference Survival Basket for the Not-So-Silent Auction and everything was of very good quality. Strange as this may sound, the water bottle was especially nice so I’ve ordered some for myself and family members.